Believe it or not, Victory Ranch hasn’t always been the mountain vacation community that it is today. In fact, our pristine 6,700 acres of land date back to the early 1900s when there were more cattle than there were people. And while it’s easy to learn something new everyday at Victory Ranch—whether that’s shooting a bow and arrow or identifying eagles—let’s bring it back to where it all began. Below, get a glimpse of a few favorite fun facts about the Ranch which you, too, can dish out like a seasoned expert. How did Victory Ranch get its name? Victory Ranch originally got its name when three World War II veterans made a promise to each other during battle that if they all survived, they would buy a cattle ranch together. Yes, you heard us—a true manifest destiny. After the U.S. won the war and the three men survived, they bought the land where The Post, Freestone Lodge and The Barn are currently situated. They named the estate Victory Ranch because, well, they experienced the greatest win of all. What about the Red Barn at the front of the property? What’s its story? Rasmus R. Larsen, a Danish immigrant, purchased the acreage in 1908 and created one of the first farmsteads in the early 1930s. It looks like we’ve always been home to trailblazers, right? The property was transferred to Frank Sorenson and Herbert Auerbach in the late 1930s, and the barn has been called the Auerbach Barn ever since. How many miles of trails are there at Victory Ranch? Approximately 20 miles, which is an incredibly large amount of untouched backcountry. It’s simply waiting to be discovered—whether that be by foot, mountain bike or horseback. 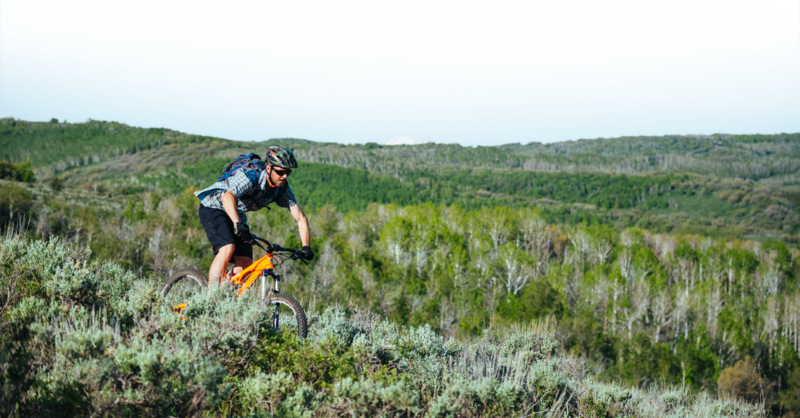 Every inch of the loop trail system was masterfully designed and built by Alpine Trails, who has built the most premier biking trails in and around Park City for more than 20 years. We have a thing for 20s apparently. What is the source of the Upper Provo River? Water from the Upper Provo River flows from Washington Lake in the Uinta Mountains, which is at an elevation of about 10,000 feet. How many different bird species can be spotted at Victory Ranch? Throughout the year you could possibly see up to 160 different species of birds. In the winter, be absolutely sure to keep your eye out for Bald Eagles. They’re everywhere on the Ranch. When was the Freestone Lodge originally built? The Freestone Lodge was built in 2008 and later renovated in December 2015. About how many trout are in the Freestone Pond? And what kind? Approximately 300 trout call the Freestone Pond home. They include Kamloop Rainbow Trout, Donaldson Rainbow Trout, Pacific Northwest Rainbow Trout, Brown Trout and Tiger Trout. For just a small pond, that’s a lot of trout—right?